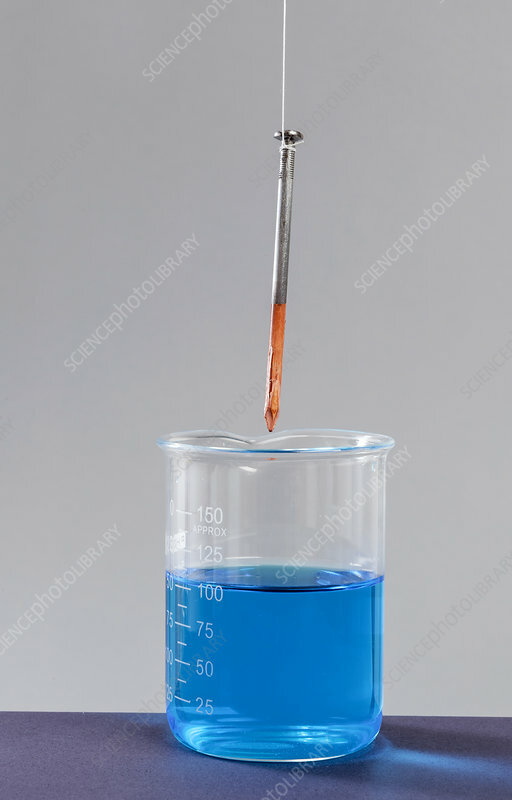 An iron nail placed in a beaker with copper sulphate. When removed from the solution the nail is coated with copper. See image SS21318333.